Keeping up with its phenomenal run of growth and development, IIM Amritsar has yet again surpassed all the previous benchmarks in the Summer Placements for the 2018-20 batch, with a staggering average stipend of INR 67,375, registering a YoY growth of 9.85%. The average stipend of top 25% of students was up by 20.1% at INR 1,31,000. During this placement season, a total of 55 recruiters visited our campus with 48% new recruiters who offered outstanding opportunities to the keen and proactive students of IIM Amritsar. Prominent recruiters like ICICI Lombard, GroupM, E&Y, RBI, HDFC Bank, BPCL, Rubique and Sutherland recruited a large number of candidates and appreciated the quality of talent pool in the institute. IIM Amritsar also believes in continuous growth and knitting new Industry relationships. Our new partners include ValueLabs, Huawei, Fujitsu, RIL and many others. Besides Consulting and BFSI sectors, the prominent emerging sectors included Ed-tech, Media & Media Analytics and Consumer Electronics. With the roles spanning from Strategy & Consulting, Sales, Marketing, Analytics, Finance to Operations management, the students will be endeavouring in various fields to build up their business acumen. 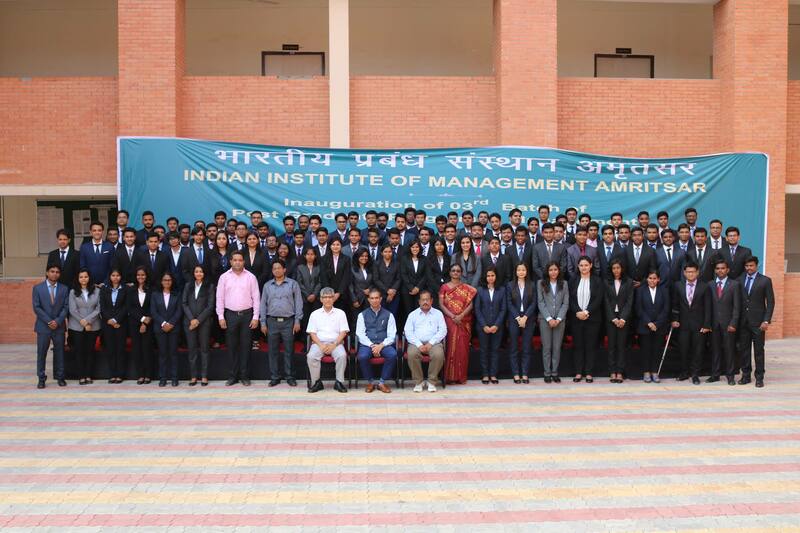 Connected with the growth of the institute, the placements are a testament to the success, energy, passion and drive of the students of IIM Amritsar. IIM Amritsar would take this opportunity to thank all the stakeholders and recruiters who ensured that the institute takes big strides toward success and achieves the coveted 100% Summers placements with astounding figures and growth.